Business Law | LANE, Lawyers and Business Advisors Inc. Depending on your company’s activities and your transactions, the legal and fiscal impacts and consequences vary and require a particular expertise in business law. We meet your commercial and transactional needs with a wide range of legal services in the field of business law, from drafting and reviewing transactional documents and various contracts, to the organization and establishment of corporate and tax restructurings. 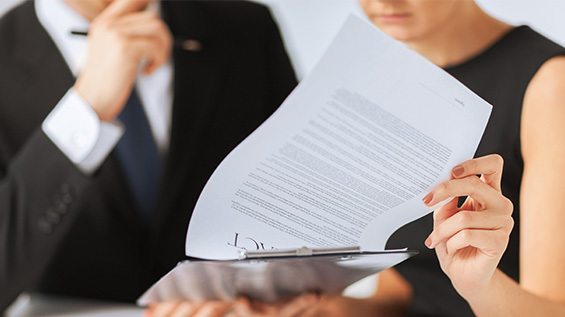 Our team of lawyers and paralegals is dedicated to drafting your commercial agreements and contracts promptly, efficiently, and such that they are customized to your needs, ensuring that you may close your transactions on time. We distinguish ourselves by the quality of our work and by our business approach that focuses on our clients’ achievement of their commercial goals. Whether you wish to acquire, sell, create, or restructure a business, we are the business lawyers you need. We are also business advisers who can quickly identify the important issues and provide our clients with strategic advice and efficient and pragmatic solutions. We excel at negotiating, drafting, reviewing contracts, and concluding commercial transactions (sales of shares or assets, mergers, financings). We are consulted regularly by corporations’ shareholders for the negotiation and drafting of their shareholders’ agreements. We have a strong expertise in franchises, including the drafting or the review of franchise agreements. We counsel franchisors in the establishment of their franchises and the development of their network. We are also frequently consulted by franchisees for the review, negotiation, and conclusion of franchise agreements. On a regular basis, we incorporate professionals (pharmacists, lawyers, dentists, physicians), organize and establish related corporate structures, and offer a wide range of corporate services, including updating companies’ minute books. We also set up holding companies and integrate them into our clients’ corporate structures on a regular basis. We also advise you in the context of corporate and tax planning and restructuring and then proceed with their implementation, making sure to anticipate and optimize the related tax impacts in advance. We set up family trusts and/or asset protection trusts. We also structure and implement asset protection strategies and estate planning strategies (estate freezes, integration of employees into the group of shareholders, sale of businesses) in order to ensure the succession and continuation of your business. We distinguish ourselves by our practical vision that is focused on achieving our clients’ desired results. We work with all the parties involved in a given transaction, including your accounting and tax advisers, to efficiently close the deal while ensuring the protection of our clients’ interests and always offering them useful and practical advices for conducting their business and their transactions. The establishment of a holding company may allow for an operating company’s assets to be sheltered from its creditors and to transfer surplus liquidities accumulated in the business by the payment of inter-corporate dividends that are generally tax free. An integrated legal and tax approach: We work closely with our accountants and tax advisers to structure and implement value-added solutions that optimize tax impacts and benefits. We have significant experience and expertise in commercial transactions as well as in corporate and tax restructurings. Competent lawyers dedicated to closing your transaction quickly: Need to close a transaction quickly? Want to formalize a recently-reached agreement in writing? Looking for efficient lawyers who are competent and experienced in commercial transactions and business law? We’re here for you. Practical solutions adapted to your situation: Your goals are our goals; we offer you practical advice and solutions adapted to your needs to ensure their achievement.